What do sacrifice, angels, miracles, and family history have in common? 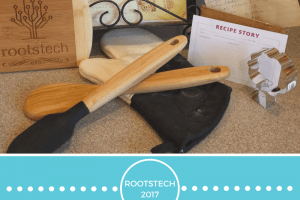 Turns out a lot, as evidenced from experiences shared at Family Discovery Day as part of RootsTech 2017. I am always interested in hearing how family history touches the heart of a person. We all come to genealogy and family history with preconceived notions and when all of those fall away and we’re left with just feelings of connection to our ancestors, something miraculous happens. We heard from a variety of speakers, each bringing their own take on family history. President Russell M. Nelson and his charming wife, Wendy, shared family stories, figuratively opening their home to us. Football stars Reno Mahe and Vai Sikahema shared poignant, personal experiences that resonated with me and the thousands of people attending the general session. 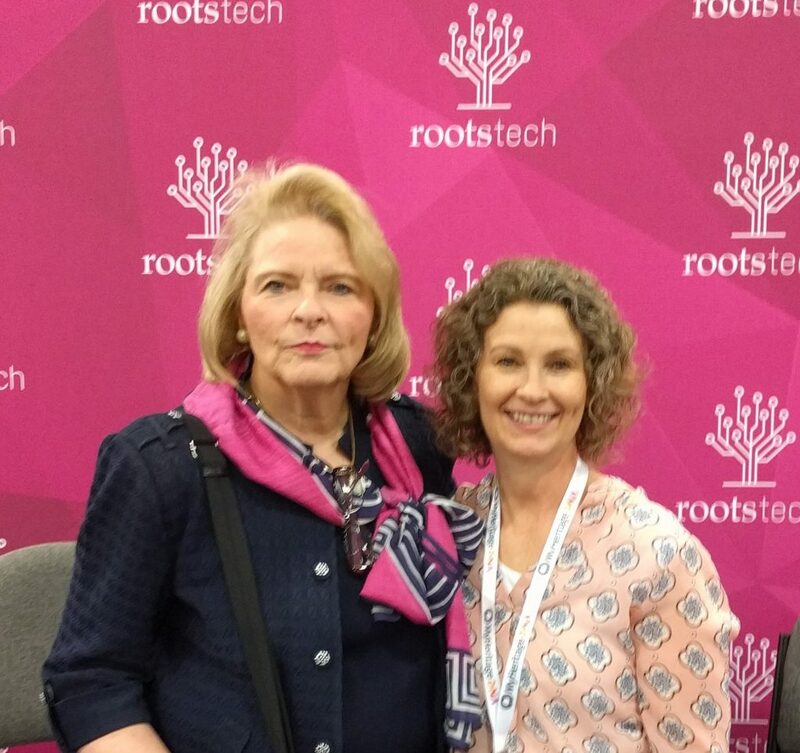 Sheri Dew reported on her commitment from RootsTech 2016 to devote time to family history. Hearing her make that commitment last year, I had wondered what miracles might have happened in her life as a result. I wasn’t disappointed. She shared remarkable experiences both in the general session and in our media interview following. Woven throughout the messages on family history were themes of sacrifice, angels, and miracles. She related how one Mother’s Day she was led to find ten infants that had never been sealed to their parents. She pictured her deceased mother with those other mothers who had lost their children. Wendy could almost hear her mother inviting them to come unto Christ and receive their ordinances. President Russell M. Nelson and wife, Wendy Watson Nelson at Family Discovery Day, RootsTech 2017. President Nelson shared the sacred experience of his grandfather, Andrew Clarence Nelson, receiving a visit of his deceased father on April 6, 1891. He related that he had had very much to do since he died. He had been traveling with Erastus Snow and preaching the gospel. So many spirits had not received the gospel and were looking forward to the day when their friends would perform their work in the temples. President Nelson had “Father’s Visit” printed and gave it to his posterity at a family gathering. Reading it to his children, grandchildren, and great grandchildren, he realized that the document spanned seven generations. President Nelson gave this account of his grandfather’s experience to his posterity. 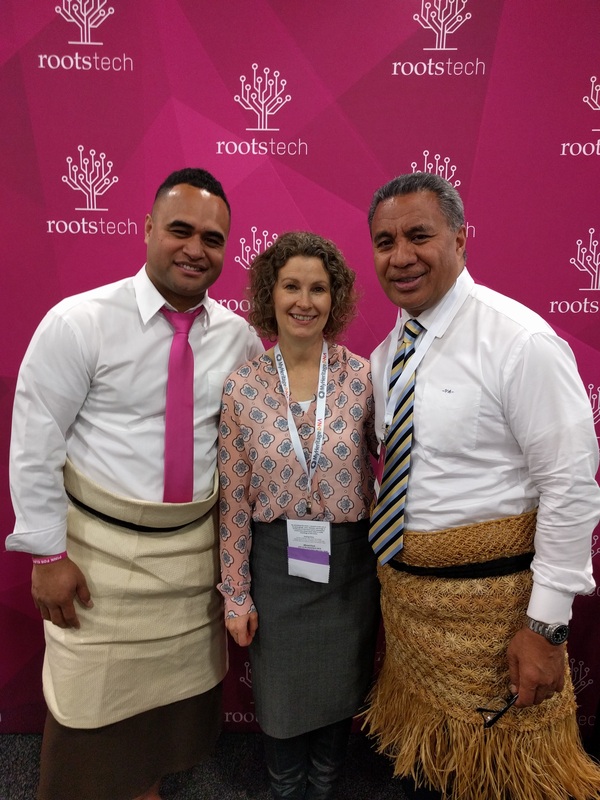 Brothers and sisters, you and I can be inspired all day long about temple and family history experiences others have had, but until you and I do something to actually experience the joy for ourselves, our attendance here at RootsTech 2017 will have been something like a nice, warm bath it feels so good at the time, and then – it’s over. What kind of sacrifice can you make to do more temple and family history his year, preferably of time? President Nelson’s words rang true with me. About twelve years ago, I had attended a local Family History Fair and heard a young mother also speak on sacrifice and family history. Her words made a profound difference in my approach to my family history work. What did I hear that made such a difference? She spoke from her own experience of how she really wanted to do family history but she didn’t know how to find the time in her busy day. She decided to not only sacrifice some time each day, but to sacrifice the best time – not when she was tired at the end of a day, but when she actually had a brain and could do quality work. She found that her time spent doing family history was not missed. Instead little miracles popped up, enabling her to take care of all of her responsibilities, as well as family history. This young woman inspired me to try an experiment of my own. 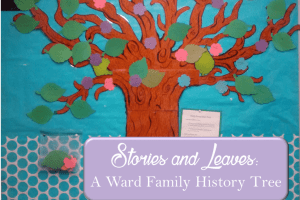 With five children at home in three different schools and piano, dance, baseball, scouts, Young Women activities, and more, I wondered where I could find an hour a day to do family history. My best time of the day is early morning, so I decided to get up a little earlier and start my day with an hour of family history. I watched for miracles and they did come. I started receiving emails from cousins giving me information and photos. I was asked to join a research group that led to the Y-DNA testing that proved a family line. Small things fell into place with my family responsibilities. Somehow, I was able to accomplish everything I needed to, PLUS I made amazing progress with my family history. The theme of sacrifice continued at Family Discovery Day with the presentation featuring Sheri Dew, Reno Mahe, and Vai Sikahema. Sherri had committed a year ago to find time for family history in her life. She reported that it had been a remarkable experience. Performing temple ordinances for family members she had discovered was a much different experience, in a joyful way. Vai and Reno both told of their family’s sacrifice entailed in traveling to the temple in New Zealand to be sealed. The journey consisted of sailing to Fiji, a flight to New Zealand and then a two hour bus ride to the temple. Vai related how his grandfather was district president of the north island of Tonga. In 1947, the family traveling by boat to another island encountered a bad storm. Unfortunately their 10 month old baby died from exposure. The family buried the baby on a Wednesday then had to sail again on Friday for a Priesthood meeting with church authorities on another island. There was no way to communicate the tragedy to the leaders, so the family chose to attend the meetings. Because of this choice they weren’t able to observe the traditional seven days of mourning per Tongan custom. Consequently, the community looked down on the family and they were in a sense ostracized for the rest of their lives. That sacrifice and choice of faith over culture left a legacy for the entire Sikahema family. Being an ambassador, I was able to be part of a small group interview where Sheri, Reno, and Vai reflected on family stories and angels among us. Every once in awhile something special happens when talking about family history and this was one of those moments. It’s always a treat to see hearts being touched and people “getting it,” especially those who readily admit that they haven’t thought much about family history. When asked what he was going to do now, Reno laughed and said he was really bad at family history, but he wanted to start recording the family stories. During our small group discussion, the topic of angels came up. Reno told us that he had never understood the connection between angels and family until his three-year-old daughter Elsie passed away last November. His wife, Sunny, taught him that Elsie is now an angel watching over him. Sheri told us of an experience she had last summer when her knee was replaced. She’d only been home from the hospital for a week and was getting ready for bed. She opened the garage door to check things out and saw that the outside door was hanging off the hinge. She hobbled down to the garage and saw that somebody had tried to break in and had broken the sheetrock and the door. Sheri was freaked out being home alone so she called the police, her home teacher, and friend, Wendy Nelson. Sheri quipped about being embarrassed at having the President of the Quorum of the Twelve come over late at night to check on her. The policeman was fascinated that the person had gotten into the garage and hadn’t taken anything nor did he get into the house. 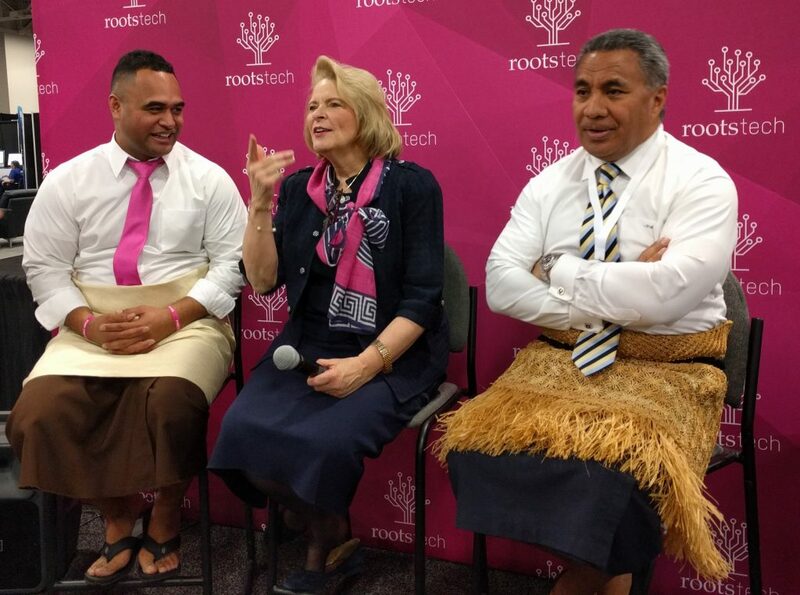 Reno Mahe, Sheri Dew, Vai Sikahema share personal family history experiences at RootsTech 2017. Vai told us that in researching his family history, he learned that his great great-grandfather came to America in the early 1900s. He traveled to Asia and learned a little English, Spanish, and Chinese along the way. He was unique and got the position of wharfmaster in Tonga because he could communicate. He’d meet the ships and pull them in using his tugboat. In 1906 he pulled in a ship with two young men, Elder Faser and Elder McKay. The two Mormon missionaries had been dispatched from Samoa to come look for horses. Vai’s grandfather invited them to come stay at his home and the next day took them to a friend to get the horses. The young men pulled out a leather pouch with gold coins to pay for the horses. The man refused, according to Tongan custom. The missionaries asked what they could do to show their appreciation. The grandfather asked them to send a teacher for his children. In the 1900s there was no public school system. Three months later the Elders came back and opened the first school in Tonga. Vai’s grandfather was in his 80’s when he graduated from grammar school. That experience has had an affect on the Sikahema family for generations because his value of education changed the trajectory of their lives. Family Discovery Day reaffirmed all that I’ve experienced in my family history work. Hearing accounts of sacrifice, angels, and miracles reminded me that we each have a story to tell. 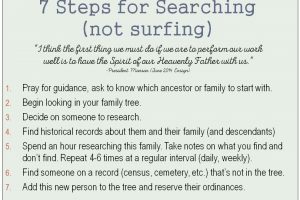 What sacred experiences have you had in doing family history? Have you recorded them for your family? Maybe now’s the time. Best of luck in all of your family history endeavors! What a great post Diana! I haven’t watched Discovery Day yet. Now, I really want to. I usually skip it because I’m fully converted to FH and I know it’s mostly a “You can do it!” and an “It’s so worth it!” session. I know it’s inspiring, I just usually attend advanced classes on topics I want to improve in. I have definitely felt the influence of angels as I have participated in this great work. Watching the Discovery Day session will be well worth your time! We’re so blessed to have the recordings to view. Sometimes we just need a little reminder of why we’re doing this work.